Signing up for a membership is easy - just click below to get started! Willow Bend Fitness Club is a state-of-the-art, 14,000 square foot fitness center with ample parking, easy gym access, world-class equipment, luxury locker rooms, and experienced, professional staff. With more than 15 certified fitness experts, you’re sure to find a trainer who matches your unique style and fitness needs. Whether you want to focus on weight training, weight loss, or some other workout plan, our trainers can help you accomplish your goals. Our facility offers a multitude of exclusive services to its members including: Muscle Activation Technique, Cryotherapy, an IV bar, Ultra SculptaDerm, and more. Stop by or call us for more information. In addition to traditional exercise equipment, our gym offers the highest quality functional fitness accessories and equipment. To experience our unique approach to fitness, become a member! Willow Bend Fitness Club provides Plano, Texas, and the surrounding area with its only full-service, well-staffed, state-of-the-art training and health club. 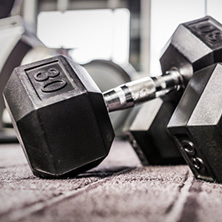 Our space offers 14,000 square feet filled with a variety of well-maintained equipment, spacious and luxurious locker rooms, and Plano’s most professional personal trainers. When you become a Willow Bend Fitness Club member, we guarantee access to a unique, you-centered experience in an energetic environment. 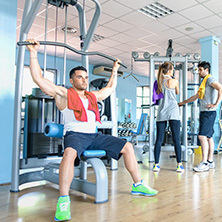 We maintain an impeccably clean facility and offer only the best professional services, which highlights the difference between large, franchised gyms and our beautiful, exclusive fitness center. We strive to make our members feel comfortable and welcomed at our gym, and we do so by being dedicated to providing excellent customer service and maintaining a friendly, non-judgmental ambiance. Come by and see why so many of our members rave about their experience with us. Become a part of our valued team!